the call of individuals, families and communities from all regions of Saskatchewan. The call is loud and clear. 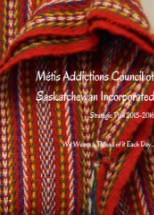 The people of our province want to access a range of addictions services offered in a timely and effective manner. They want their voices to be heard and their experiences valued. Please download the strategic plan to learn more about how MACSI will Answer the Call.